Paul provides a Wasp Nest Removal service covering the Salisbury, Amesbury, Cholderton, Porton, Netheravon and the Winterbourne areas. 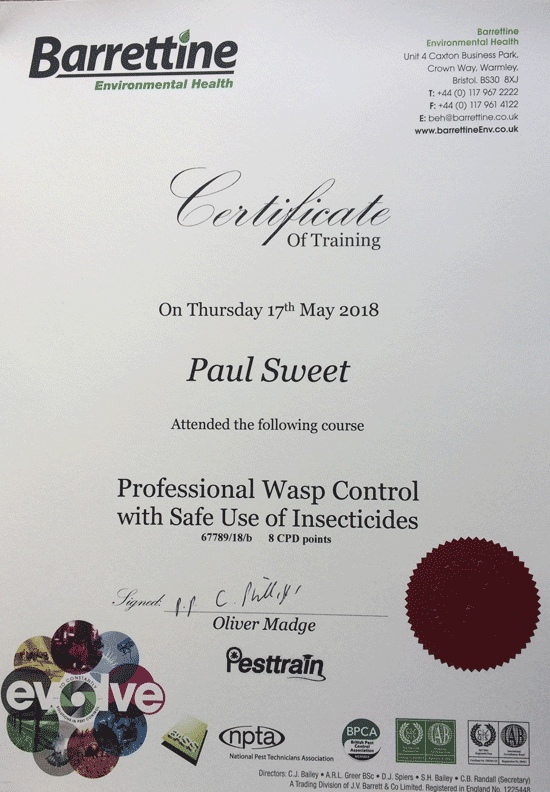 Paul has recently attended and passed the course on Professional Wasp Control, with the safe use of Insecticides. If you have a wasp or hornet problem and live in the Salisbury (SP4) area and need to get rid of the nest fast, why not give Paul a quick phone call?